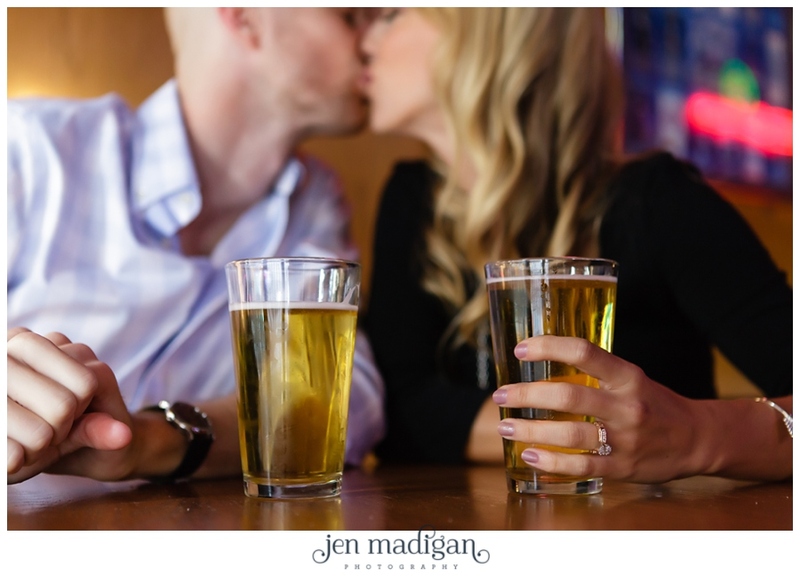 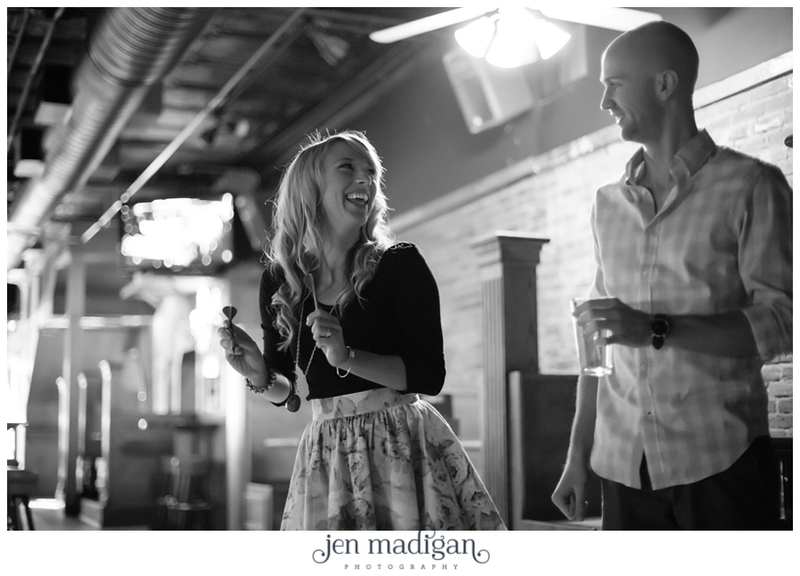 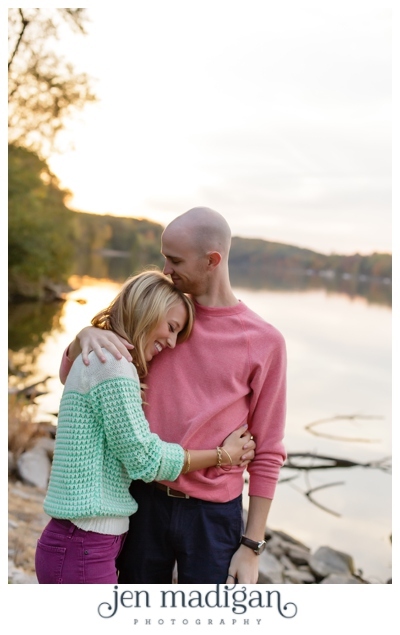 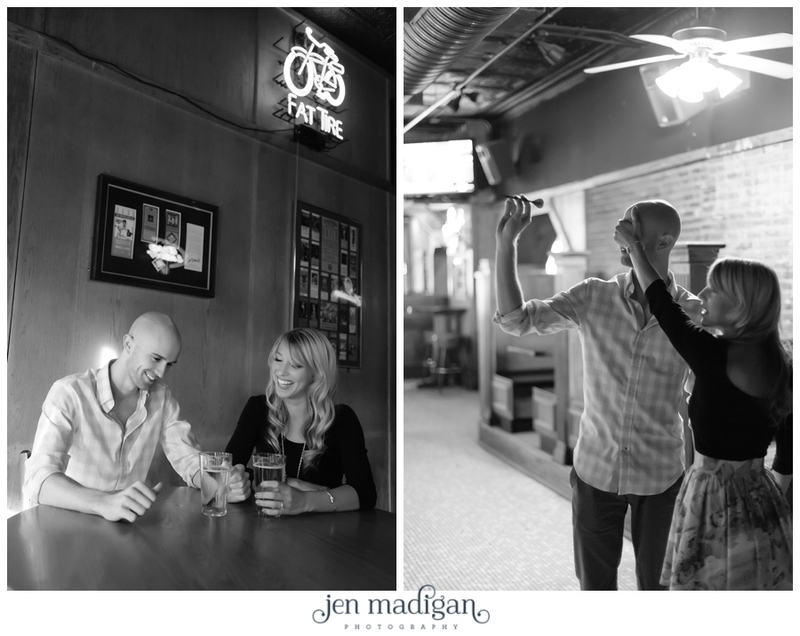 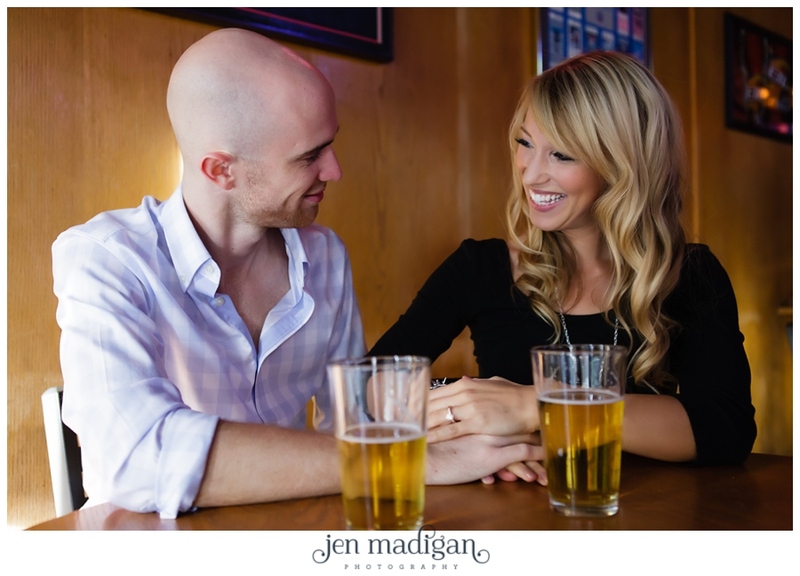 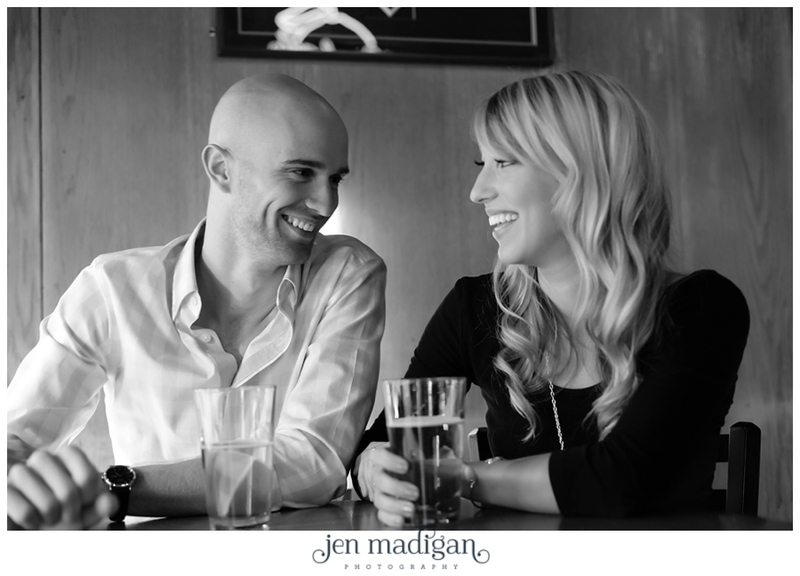 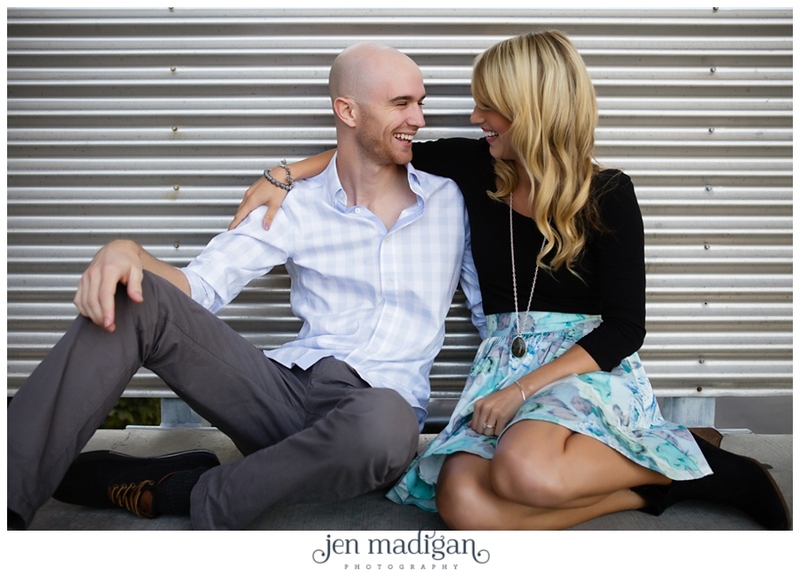 The week of Emily and Connor's engagement session, we got to spend some time getting to know each other over drinks and good food, which made their session even more fun. 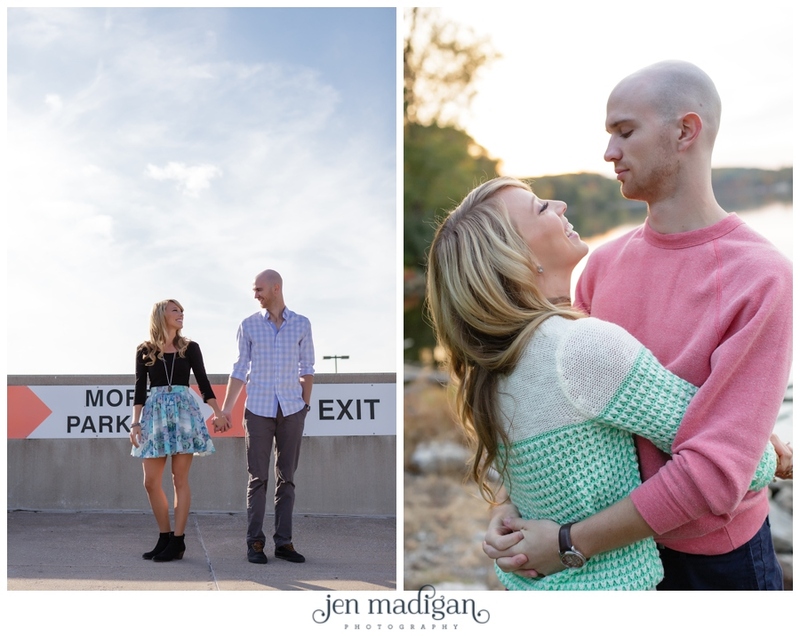 Emily is as sweet as can be, and I adore her style (she sells Stella & Dot, so she's always perfectly accessorized) and Connor's sense of humor is the best (as you will see in the photos, he makes Emily laugh constantly). 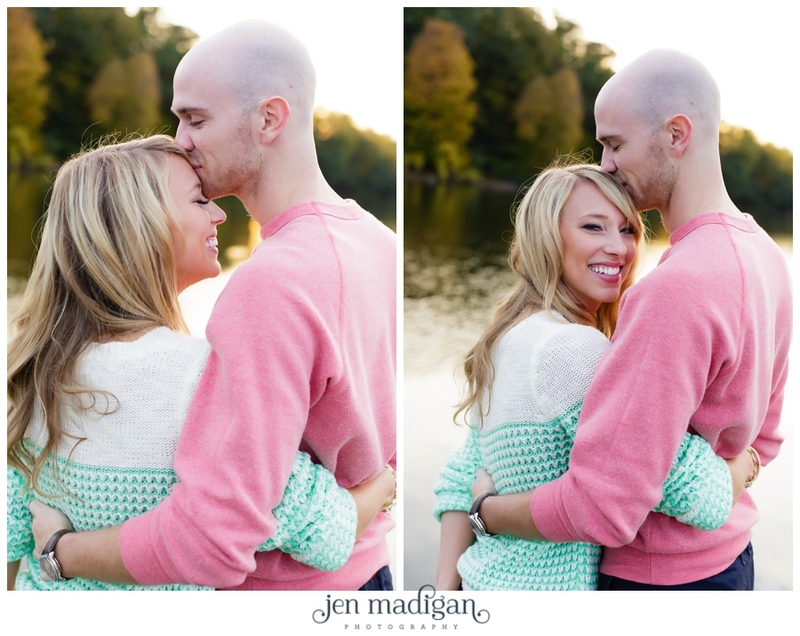 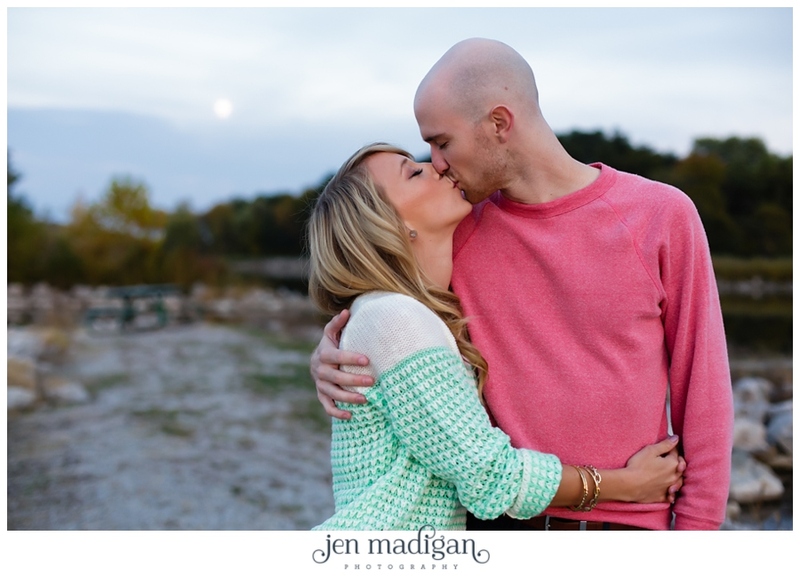 Emily and Connor are planning a May 2014 wedding at Celebration Farm, and I am very much looking forward to hanging out with these two on their big day. 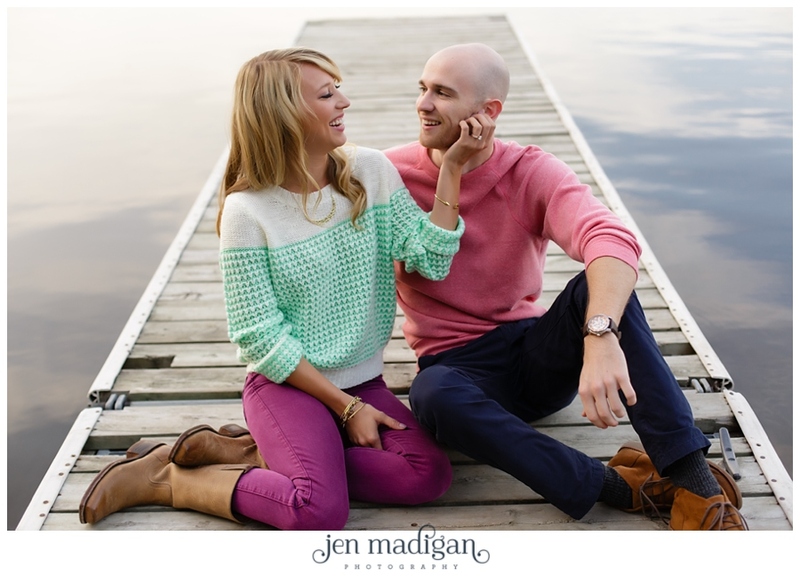 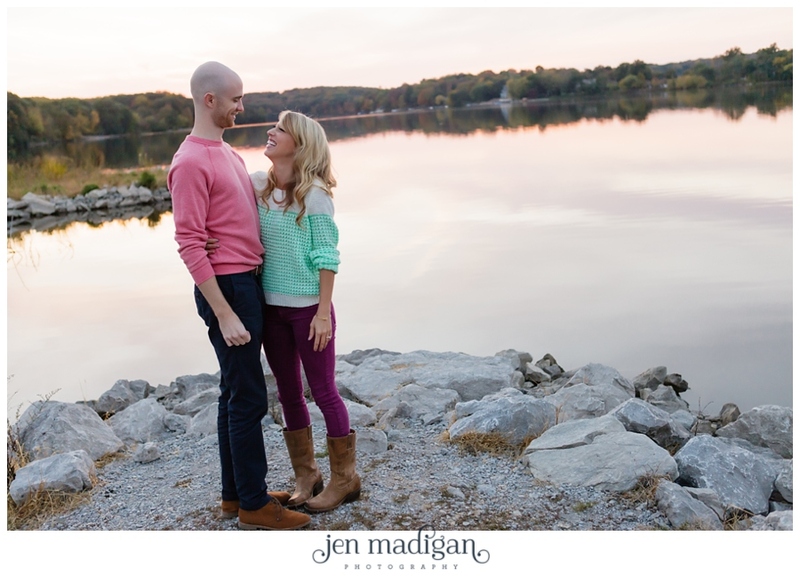 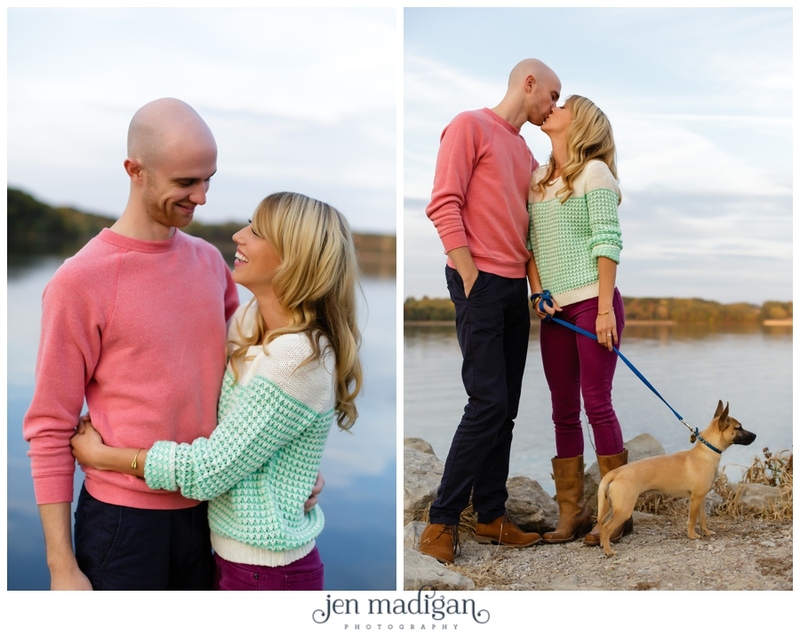 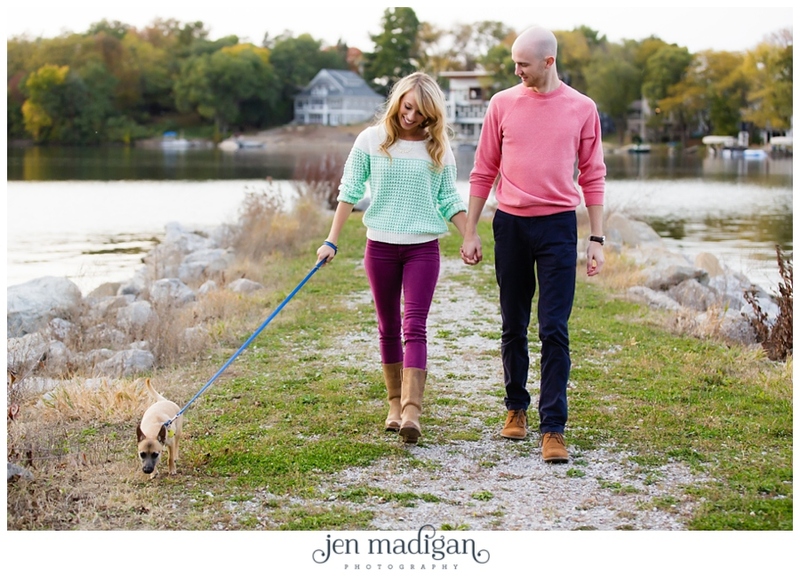 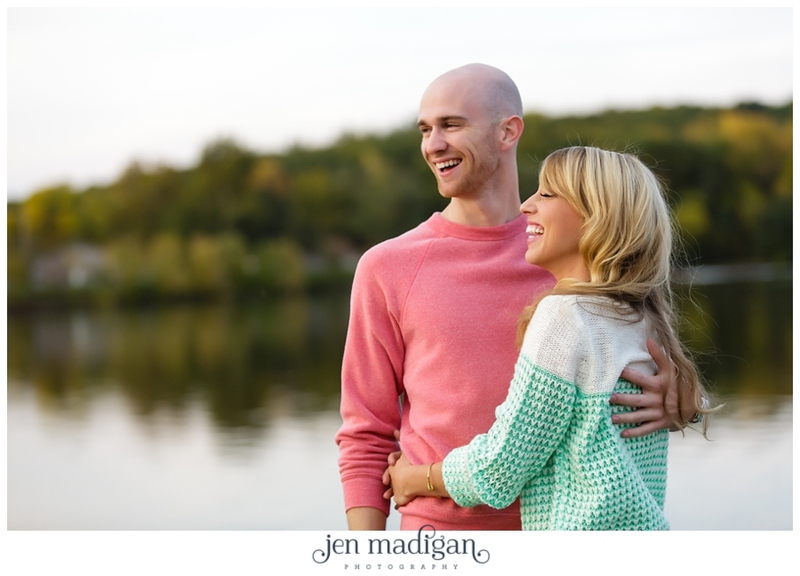 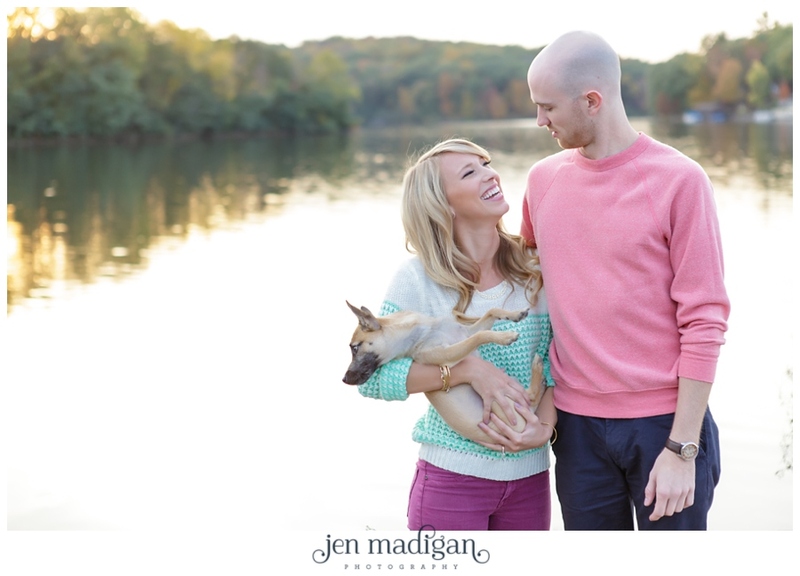 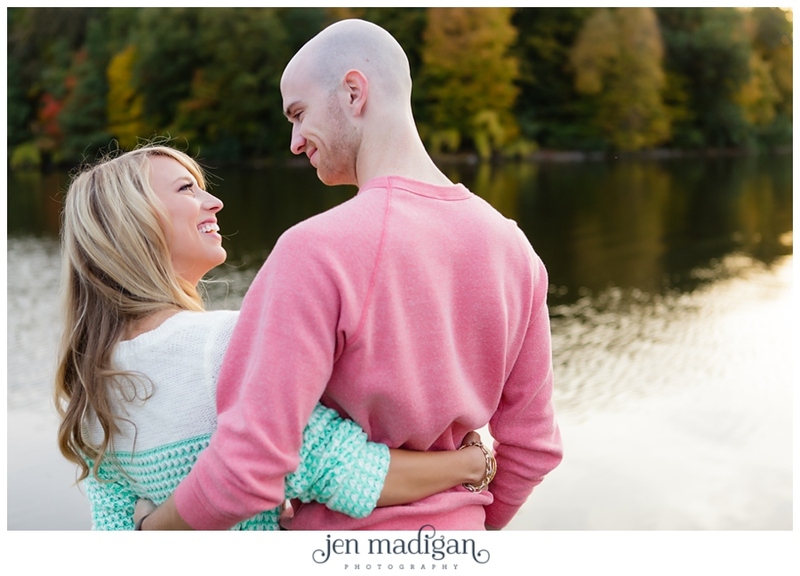 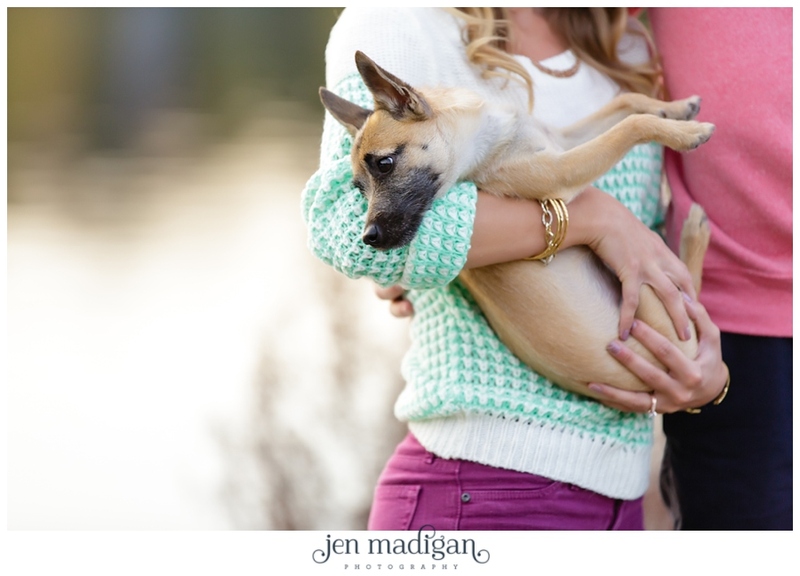 For their engagement session, we ended up with gorgeous weather and started out downtown and ended at Lake MacBride with their pup Bounce. 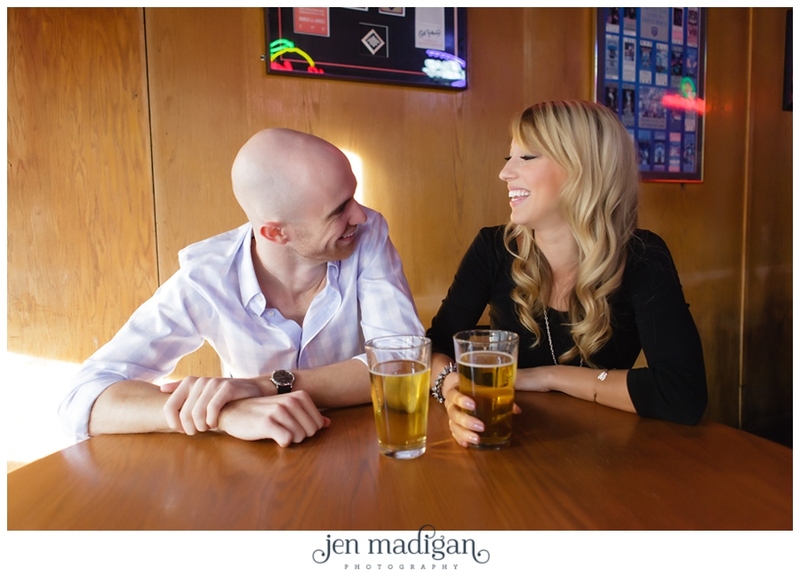 Emily and Connor wanted to stop at the Sports Column, a place where their relationship began, and where they spent time together.